Vancouver Golf Tour, in conjunction with Chilliwack Golf & Country Club (Chilliwack Golf Club), one of British Columbia’s premier golf courses, is happy to announce that WEB.COM player Adam Hadwin will compete in the Chilliwack Men’s Open July 6 to 7. 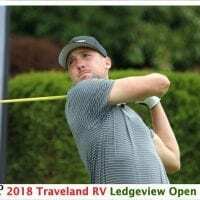 Recently competing in the U.S. Open at Merion and finishing in fifth place at the Web.com Tour’s United Leasing Championship, Hadwin’s game is really strong coming into the Chilliwack Open tournament. With a 7:40 a.m. scheduled tee time, Adam Hadwin will play alongside Chilliwack Golf Club professionals Brad Clapp, Brett Stewart and Colin McIntosh during the opening round. 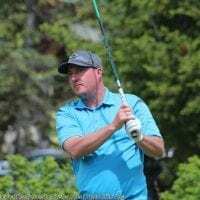 Other notable players include 2013 PGA Championship of Canada winner Bryn Parry, former PGA Tour player Ray Stewart and 2012 Chilliwack Men’s Open defending champion, Tyler Pitt. “We are extremely excited to have Adam come home and support our Tour (VGT) where we are proud to say he had his first three Professional Wins” stated VGT Commissioner Fraser Mulholland. 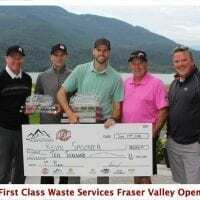 “With Bryn and Adam’s games firing on all cylinders and Chilliwack’s own marquee pros Brad Clapp (’12 PGA of BC and ’12 PGA Assistant’s Champ) and Jared Rempel ready for the challenge, this weekend will no doubt be a battle to the last hole to decide who’s crowned the ’13 Chilliwack Open Champion”! 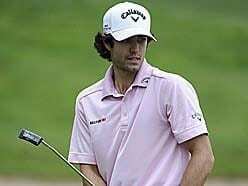 Local golf fans will have the unique opportunity to watch Hadwin and Parry compete up close and personal prior to playing in the RBC Canadian Open at Glen Abbey Golf Club on July 25th to 28th, 2013. Parry tee’s off at 7:30am right in front of Hadwin with past Champions James Harper (7:00am) and Doug Morgan (8:10am) also headlining the field. For a full list of tee-times please click here. 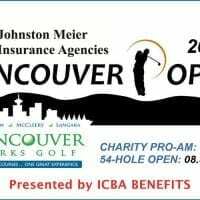 Live Scoring of the Chilliwack Open is available on the VGT website throughout the weekend at https://vancouvergolftour.com/leaderboard/. Chilliwack Golf Club is a prominent facility in the British Columbia area and recently hosted the BC Senior Women’s Championship and the PGA of BC Assistants Championship. 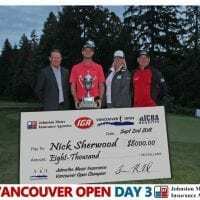 As one of the longest standing tournaments hosted by Chilliwack Golf Club, and part of the Vancouver Golf Tour, the Chilliwack Men’s Open includes the 15th Hole Grandstand, Sleeman’s Beer Garden and BBQ for fans. The tournament kicks off at 7am this Saturday with the lead group on Sunday expected to tee-off at 2pm. The Chilliwack Golf & Country Club (Chilliwack Golf Club) was established in 1958 and is a semi‐private facility located between Chilliwack and Abbotsford, only 45 minutes from Vancouver. It features magnificent tree lined fairways, a creek that meanders through the back nine and breathtaking mountain vistas in every direction. Chilliwack Golf Club has played host to every major Provincial Championship, and the Chilliwack Men’s Open is one of British Columbia’s longest running and most prestigious golf tournaments.